I do not need to begin to describe or emphathize with the emotions generated by through the events of the last week. We have all felt them together. First and foremost our thoughts and prayers always go out to the victims and families. This news is national if not worldwide. Last night I was briefly interviewed on channel 3 but three of our alums were on a more thorough segment on channel 13. To Mike, Kathleen, and Rebecca, you were awesome! You showed great poise and your message about PSU being a family and more than small group of actors, is exactly what non-Nittany Lions needed to hear. We are! Within hours of the stories being released, people already have come forward with ideas on how we in Sacramento can do our part to help. Ideas have included activities and sponsorships for child abuse organizations. We do multiple philanthropic activities througout the course of the year including our current Thanksgiving family sponsorship. We are already starting to look into to what local groups we could support. If you have any ideas, please send them along. Many of you have likely already heard of RAINN http://www.proudtobeapennstater.com/ which raised over $50,000 yesterday. With that, it is purly coincidental that today was the day that we had asked for volunteers to step up as chapter leaders for years to come. If this tragic set of events has by any means inspired you to get involved, please do so. No effort or impact on this organization, our community, and alma matter is too small. 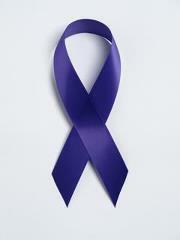 In the meantime, I encourage anyone coming to Players tomorrow to sport the blue-out in support of ending child abuse. There’s also a group of kids on that field that nothing to do with these events and continue to play their heart out. Everyone knows that the Nebraska alumni crowd is enormous so we would love to have as many of us as possible there. Thank you for continued support and stong reminder of what it means to be a Nittany Lion. We are!